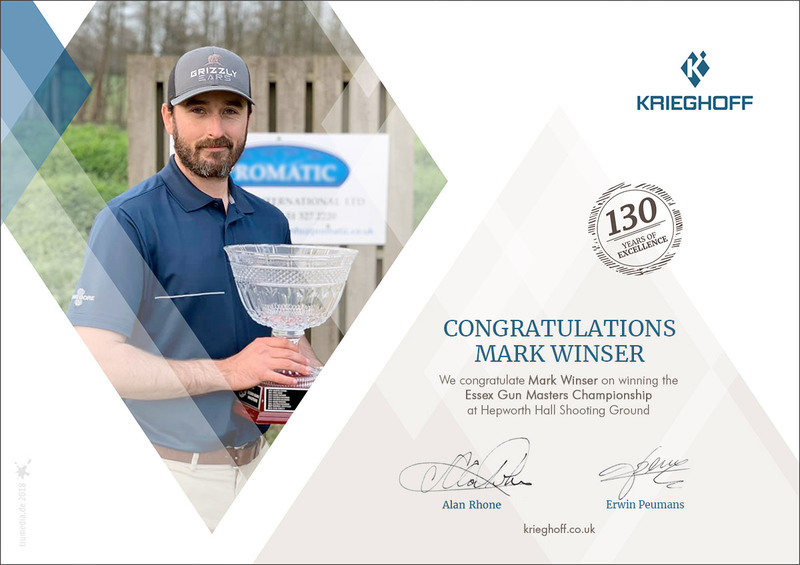 Congratulations to Mark Winser on winning the Essex Gun Masters 2019. Held at Hepworth Hall Shooting Ground. This being the 3rd time Mark has triumphed at the event, so an excellent achievement in itself. He shot a 193 which was enough to win the shoot and be crowned champion. We also congratulate Ben Husthwaite on finishing Runner-Up, so a Krieghoff 1-2 for 2019.